← Celebrate Orthodox Christian Holy Week and Easter with 400 millions Orthodox Christians ( 1 – 8 April, 2018 ) ! Célébrer la Semaine Sainte chrétienne orthodoxe et Pâques (du 1er au 8 avril 2018) ! Browse through it, read it, share it with your friends. 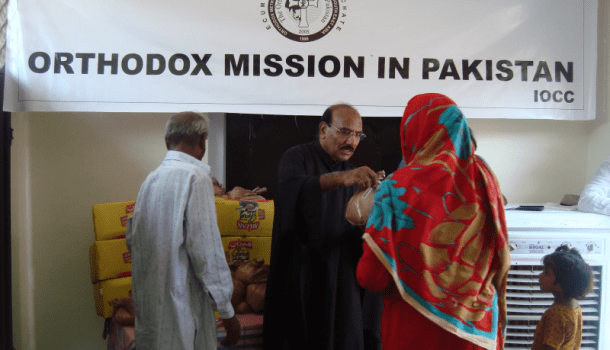 Support the Orthodox Missions around the world. Donate today. 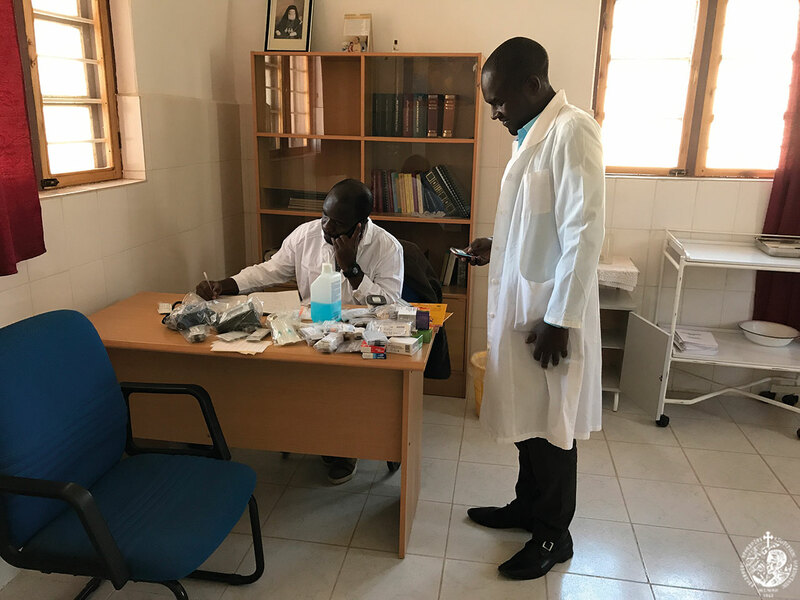 With feelings of sincere gratitude and deep emotion I would like to thank you for the donation of the amount of € 5,000 to my humble Diocese in support of the operation of our medical clinic in our missionary center in Kidamali, Iringa. It is an undeniable fact that without your moral as well as material support in my first steps in my Diocese, it would be impossible to move forward, due to urgent needs and insurmountable difficulties. In this beautiful but extremely poor corner of the earth, in every step we take we encounter human pain. The people, poverty-stricken but happy, always with a smile on their faces, live in simplicity the hardness of their daily routine, being totally deprived of the most basic necessities, but always calling upon God and worshipping Him. It is a marvel to experience a Divine Liturgy in Africa. How much attention and devotion they all show, even small children, in chanting and in partaking of the Holy Communion! At a height of 1500 meters, on the huge Rift Valley plateau, lies the area of Iringa, which is generally assumed to be the poorest and toughest area of Tanzania. For six to eight months every year it is plagued by extreme drought, with the winds blowing through the bare trees and drying up the already arid scenery. In this tough area, there is a great need for providing health care to our brothers. Our fellow-humans there are suffering from hunger, malaria, typhoid and many other diseases. As a result, the number of orphaned children is growing every day. With our humble abilities and with timid steps, we began operating the medical clinic in our missionary center in Kidamali, Iringa, which was rebuilt thanks to the donation of Theodoros and Melpomeni Geraki’s family from Thessaloniki and to which crowds of ailing people arrive on foot from the surrounding areas. It is evident that it must be organized in the form of a polyclinic, with a variety of specialties, due to the large number of illnesses and the rudimentary state health care. The current cost of running our Clinic for doctors’ salaries and free medicine amounts to € 2,000 per month. Despite the difficulties, we got started with the hand on the heart and in the hope of your loving contribution! Dear brothers in Christ, please pray that the Word of the Gospel will be spread with good words and acts of true love, and that the bells of Orthodoxy will ring in every corner of Africa. Amen. 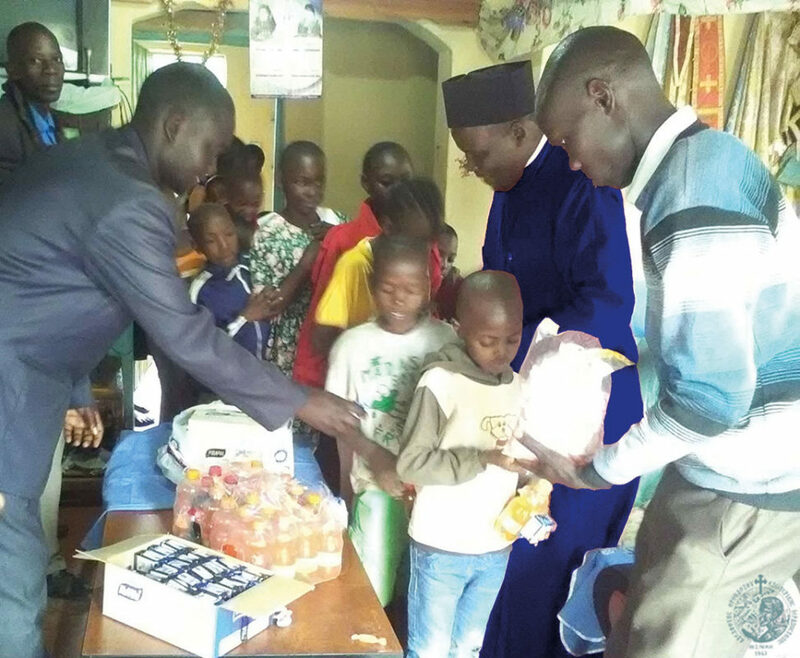 Raising hope in the Orthodox Church- Diocese of Kisumu and Western Kenya, Kenya. 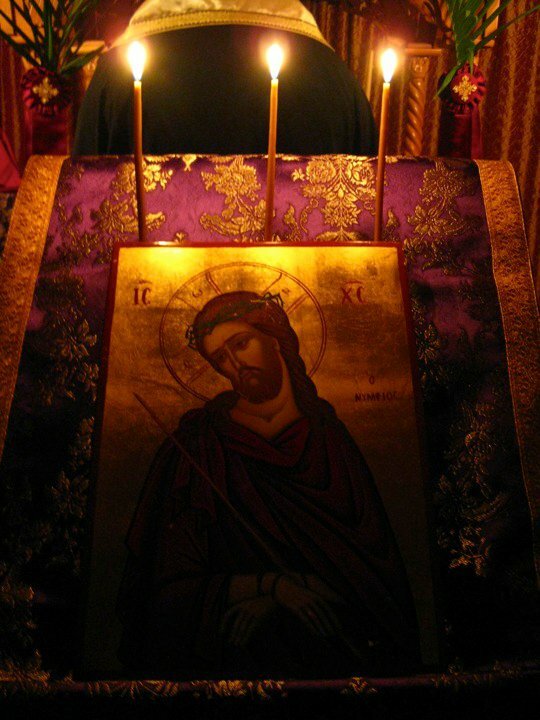 Christ be with us all! I feel greatly honored to contact the Orthodox Missionary Fraternity in order to express my sincere gratitude for the support you have given to our new Diocese, which actually promotes the spirit of brotherhood and Orthodoxy that exists between us. The Lord continues to work wonders in our new diocese. Not at the fast rate one would expect of course, but we have already gone a long way. I will mention some of our achievements. We have completed 90% of our office construction. Fortunately, we no longer have to pay rents as we have already moved into our new offices. With the blessings of our Patriarch, we have got a monastery dedicated to St. Cleopatra, and soon Saint Anthony’s monastery is going to be completed. We already have five nuns. Finally, we managed to get a car to visit the far reaches of our diocese. This enabled us to perform several baptisms and church inaugurations. As regards drillings, we have purchased a good drilling rig. We are currently building the St. Athanasius Middle School at Nandi, which has about 140 students. It is a building that belongs to the Sts. Paul and Dionysius parish, the first Orthodox Church in the Busia district. In our schools we were running a feeding program for poor children, but for the time being we have stopped it due to lack of funds. Unfortunately, our education support program is not going well as we have many children and young people whose education has been discontinued due to lack of funding. 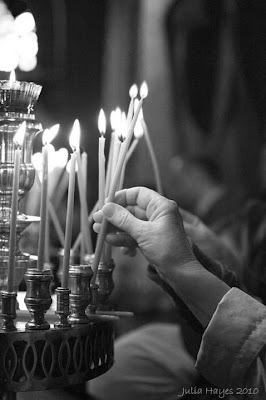 We also made a lot of ecclesiastical gatherings, in which we taught them about Orthodoxy. Unfortunately, we still have many more problems to deal with and we need your prayers as well as any other form of assistance. Nevertheless, it gives us a great joy to know that there are many people who still pray in the province and that the number of our parish communities is growing! Now we have about 300 parishes, half of which have permanent buildings. 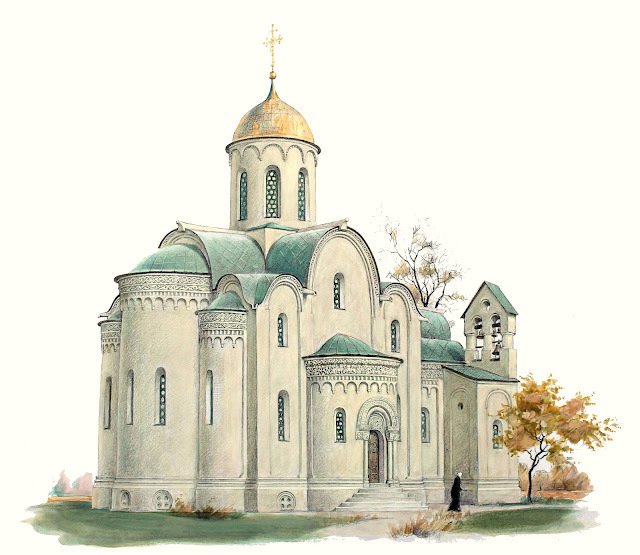 We need about 10,000 euro for a simple, plain Orthodox church that holds 50 people and about 5,000 euro for the completion of each incomplete church. Then, we have the Saint Tabitha Orphanage, for which I have a dream: to see it growing, to see all the children there have food, clothing and uninterrupted education. The amount of money required for each child is about €1 a day. Another challenge that we have to face is the stipend of our priests. We would like to be able to pay them with at least € 190 monthly, but so far we haven’t got the luxury to give them even € 50. Bear in mind that we have 110 clerics in our diocese. This year, I hope, God willing, to have the construction of the classrooms at St. Athanasius School completed so that next year we can go on with the construction of the next school. We need three classrooms, which will cost 1,800 euro each. 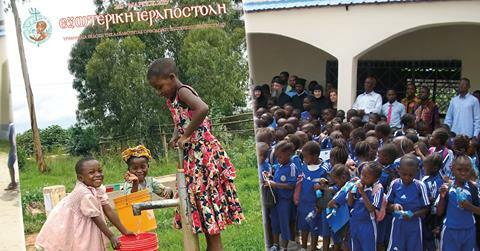 I also want to share with you, my beloved brethren, the miracles that our Orthodoxy works in our continent. In our diocese the people are flocking into our churches. To my great surprise, many people have embraced monasticism. This good news is partly due to your own help, this is why I share some of our anxieties with you, since I know that with your wisdom, guidance and prayer we will overcome the difficulties in the years to come, and thus, the light of Orthodoxy will shine in all the corners of the world, especially in Kisumu. I would like to thank you from the bottom of my heart, brethren, for your unconditional love and support. I particularly want to express my sincere gratitude to all the Greeks who help spread our honored faith in Africa. We all thank you wholeheartedly because you have changed our lives here in Africa, despite all the difficulties you have to face in your own country. Thank you for standing by our side, not only by providing us with material assistance but also through prayer and companionship. Please remember us in your prayers, especially me, the unworthy Shepherd of the Holy Diocese of Kisumu and all Western Kenya. May the blessings of our Lord be with you. This entry was posted in Africa, Αφρική, Αφρική, Africa, Αμερική, Ευρώπη, Ελλάδα - Greece, Εξωτερική Ιεραποστολή, Κύπρος - Cyprus, Κένυα-Kenya, Μητρόπολη Αρούσας και Κεντρικής Τανζανίας, Uncategorized and tagged Christian Church, christian magazines, gospel to all nations, ierapostoli.wordpress.com, χριστιανισμός, χριστιανικά περιοδικά, Αδελφότητα Ορθοδόδου Εξωτερικής Ιεραποστολής Θεσσαλονίκης, Ορθόδοξη Εκκλησία, Ορθόδοξη Ιεραποστολή, Χριστιανική Εκκλησία, ιεραποστολικά περιοδικά, Jesus Christ, Kenya, Kenyan Orthodox Church, mission, orthodox, Orthodox Christian mission magazines, Orthodox Church, Orthodox Church in Arusha, Orthodox Church in Kisumu, Orthodox Church in Tanzania, Orthodox Church of Kenya, Orthodox Diocese of Arusha, Orthodox Diocese of Kisumu and Western Kenya, ORTHODOX EASTER, orthodox mission, Orthodox mission in Arusha and Central Tanzania, ORTHODOX MISSION IN KENYA, Orthodox mission in Kisumu, Orthodox mission in Tanzania, Orthodox Missionary Fraternity, Tanzania. Bookmark the permalink.